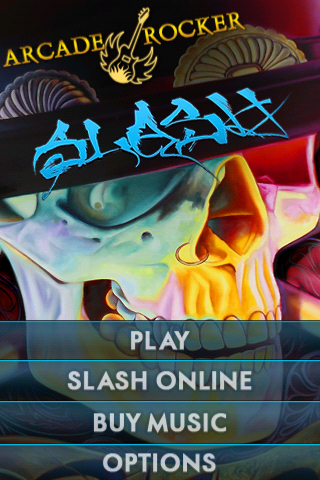 Slash Arcade Rocker is the ultimate Slash fan tool - it combines an innovative music/rhythm game featuring music from Slash's new album together with the direct access to Slash's official website providing access to the latest news, blog, tour dates and other exclusive content from Slash's official site. 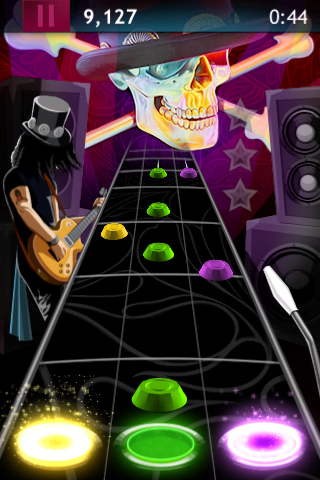 Arcade Rocker is a groundbreaking music/rhythm App in the spirit of Rock Band, Guitar Hero and Tap Tap Revenge, and Slash Arcade Rocker is a version customized for the Slash fan. 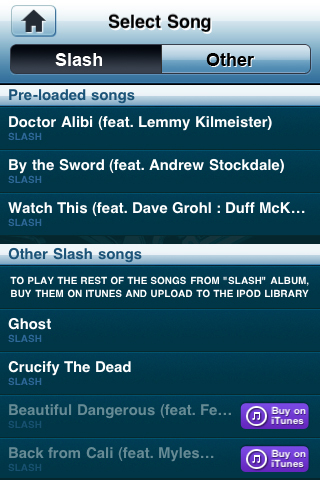 It comes pre-loaded with three songs that you can tap along with - "By The Sword" featuring Andrew Stockdale, "Watch This" featuring Dave Grohl and Duff McKagan and "Doctor Alibi" featuring Lemmy Kilmister.
. 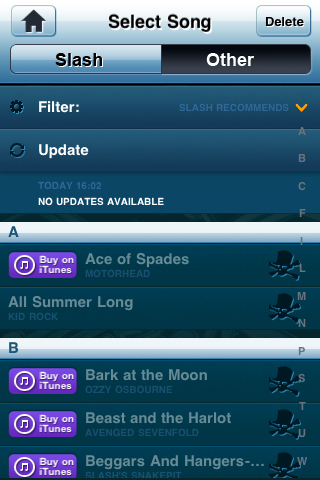 Listen to an available Slash recording from your collection while simultaneously tapping along with the recording's rhythm.
. Three difficulty levels: Easy, Normal and Hard.
. Earn points by tapping accurately: The more notes you hit and the longer you go without making a mistake, the higher your score. 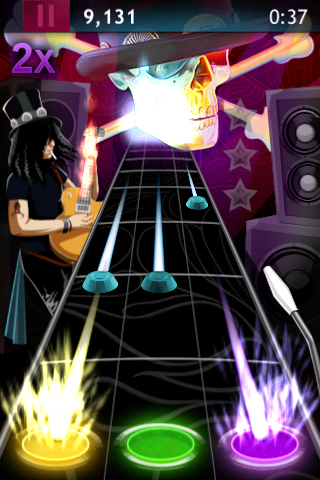 You can also earn score multipliers during the game and extra points by using the whammy bar/vibrato arm for style points.
. Super Power: During gameplay you will see special, star-shaped notes. If you hit them, you'll get Special Powers that will advance your score.
. Arcade Rocker Website Integration: The App allows you to register for and post your scores to the Arcade Rocker website (www.ArcadeRocker.com) so you can share your scores and interact with other players. If you already have an Arcade Rocker account and have been playing on the website, you can integrate your existing website account with your Arcade Rocker App. Fixed the bug where the music could be out of synch for some users.